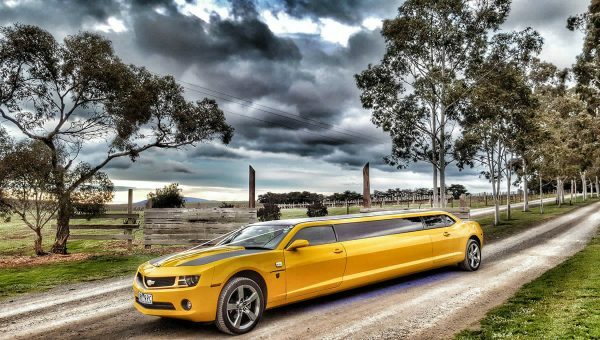 The WORLD EXCLUSIVE Chevy Camaro Transformers Bumblebee stretch limousine is an all out assault on every one of your senses! 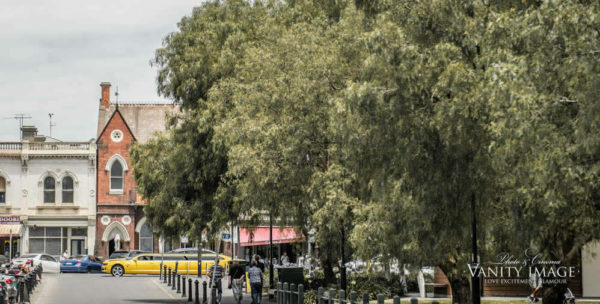 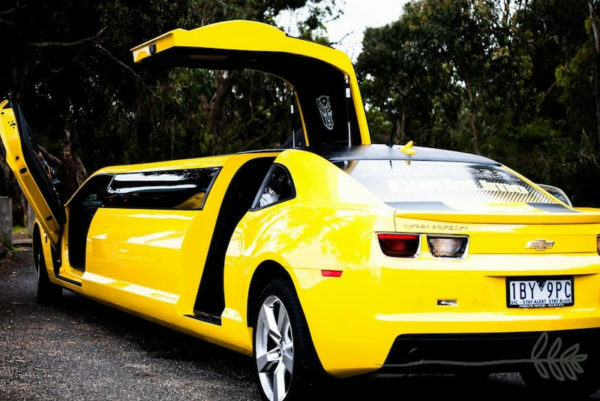 More like a Hollywood theme-park ride than just an ordinary limo, this pioneering vehicle has taken people of all ages from all corners of Australia by storm. 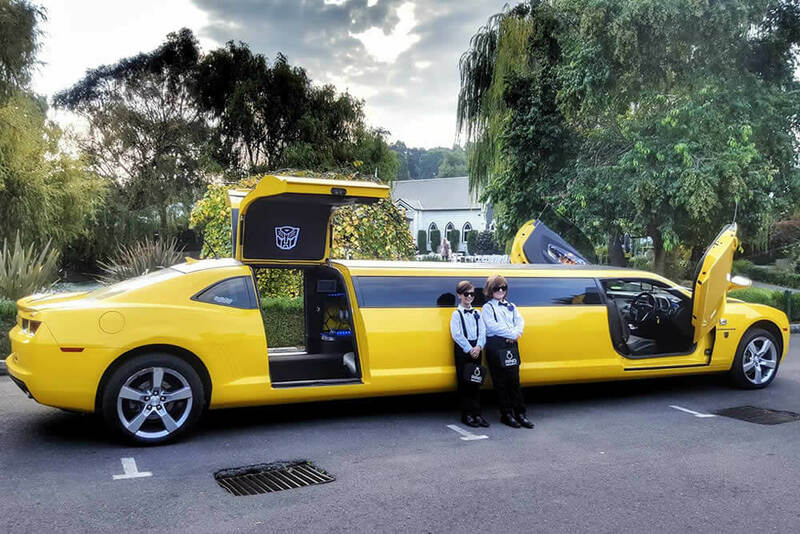 Our first foray into themed luxury transportation, the Transformers edition Bumblebee limousine is an innovative sensation. 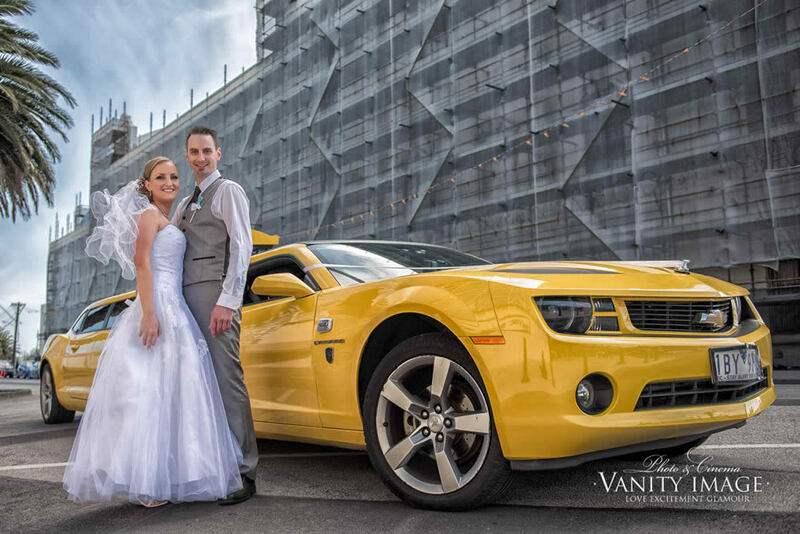 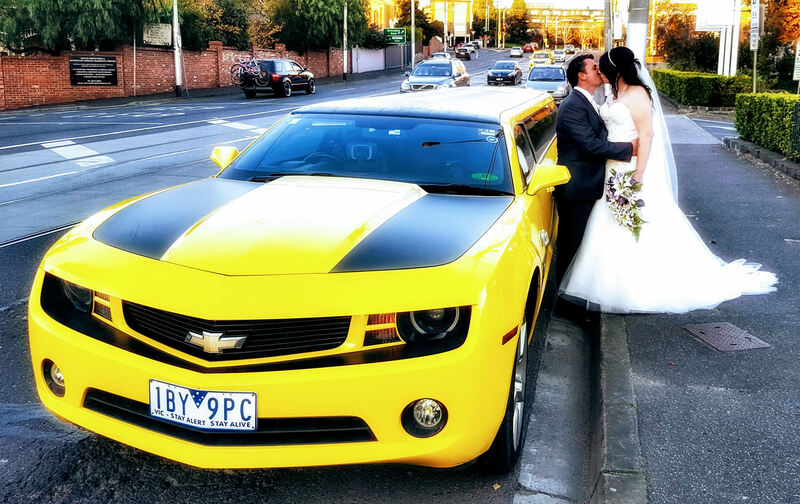 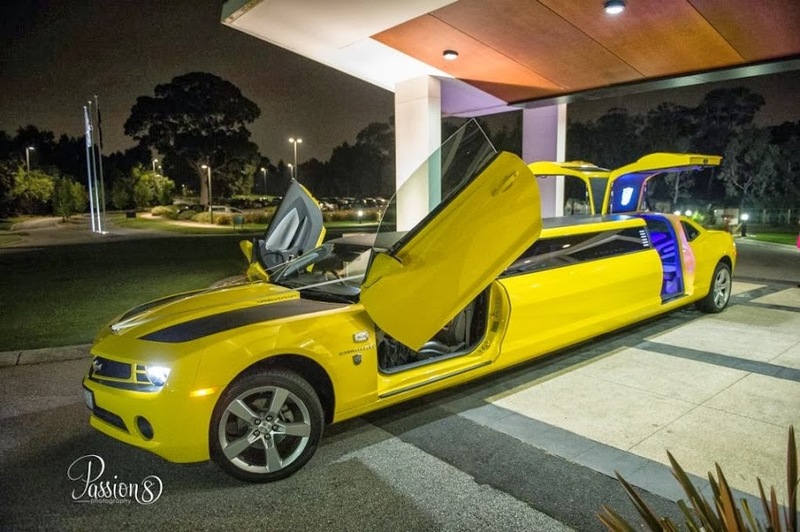 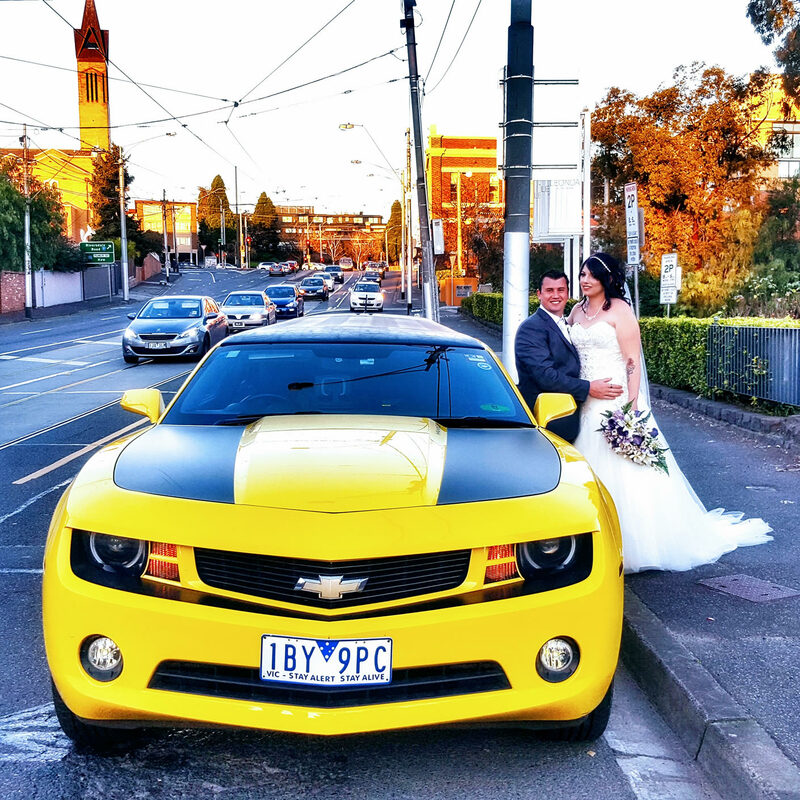 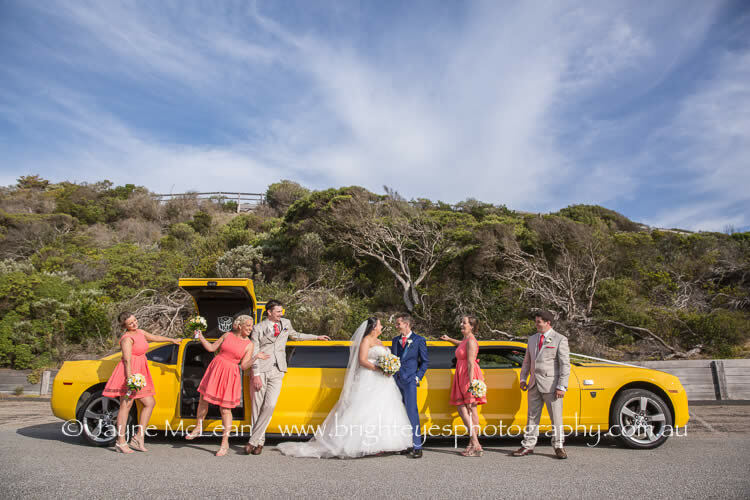 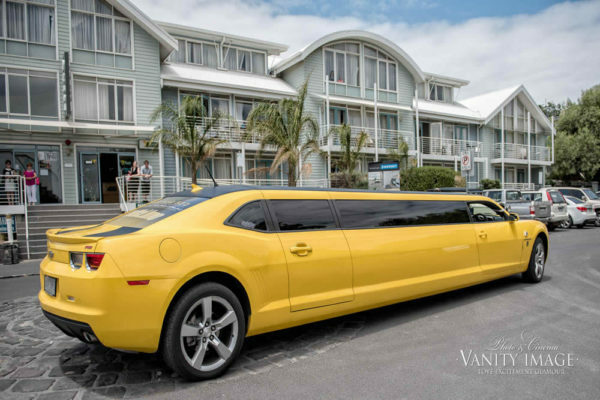 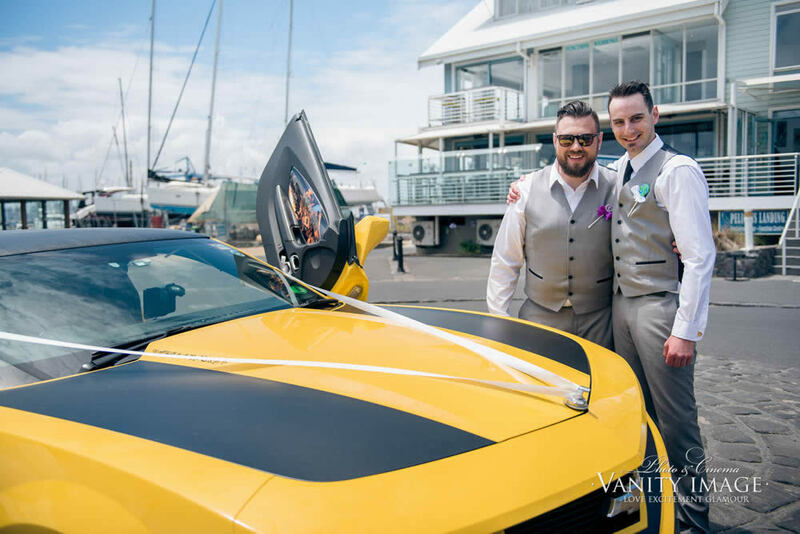 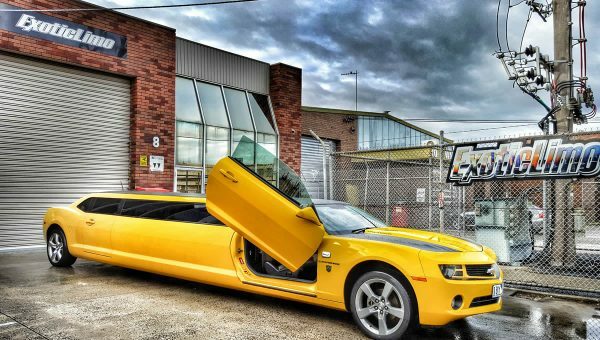 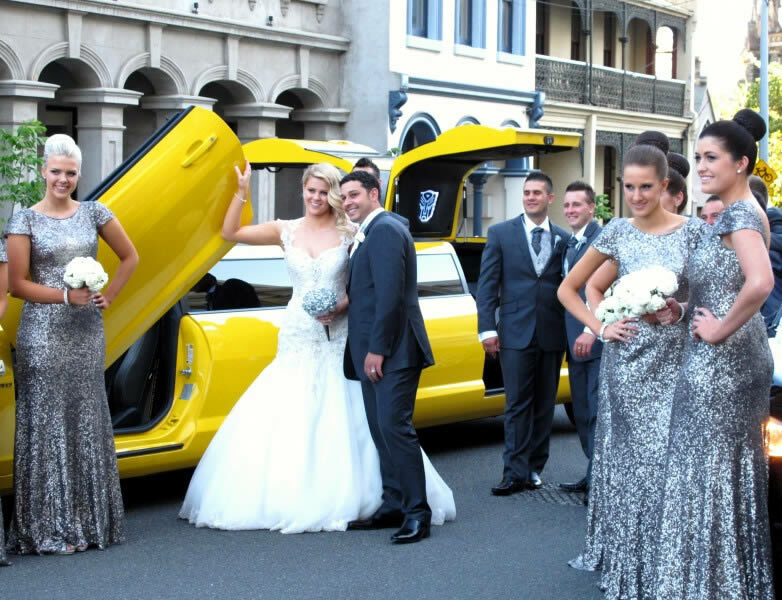 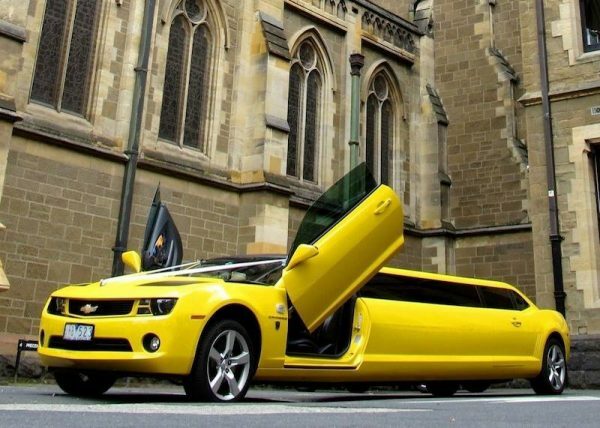 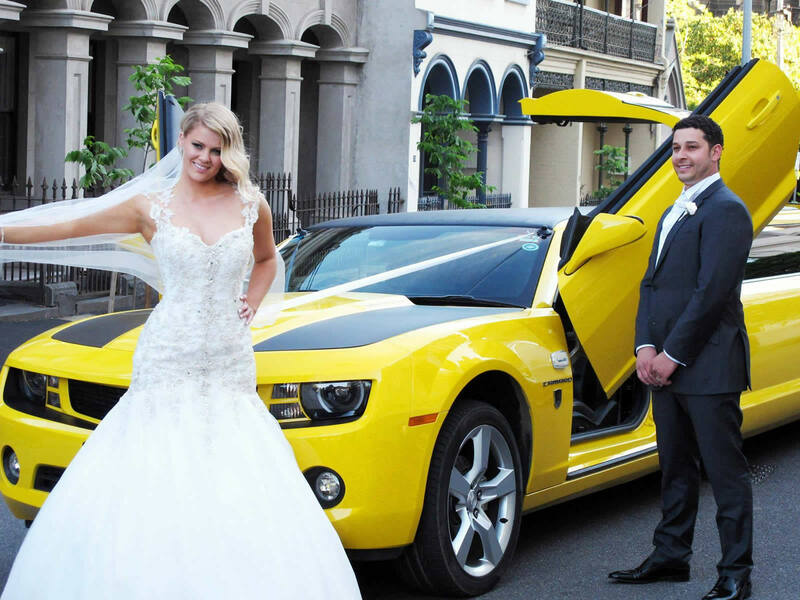 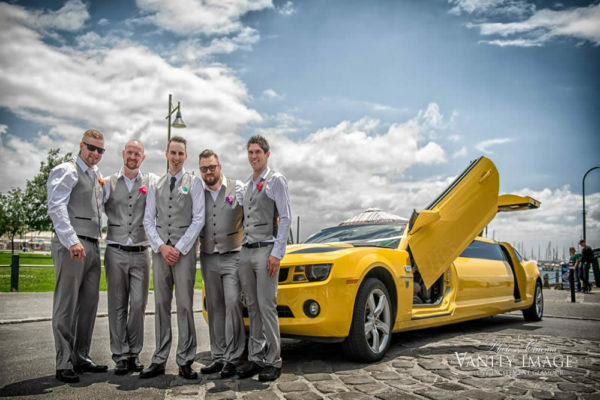 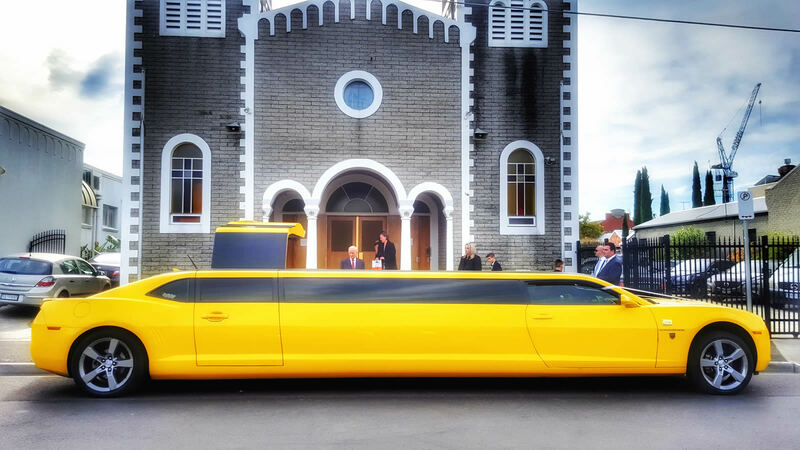 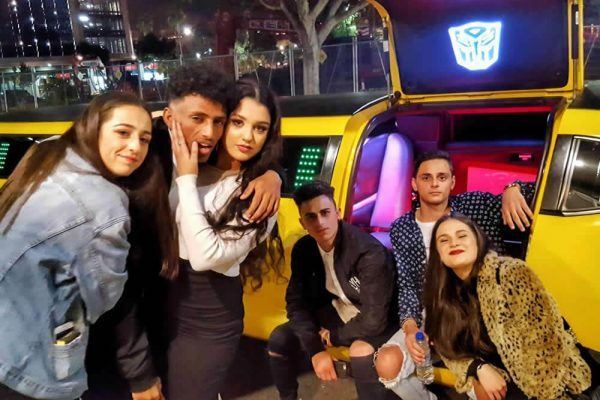 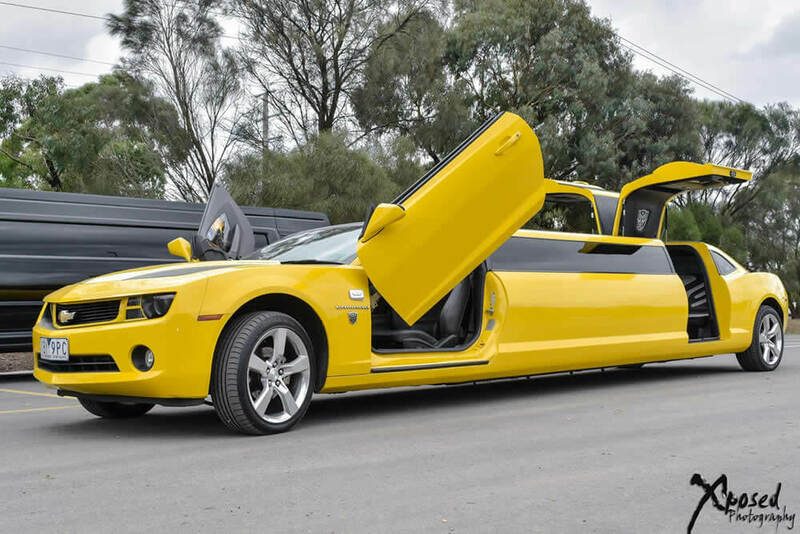 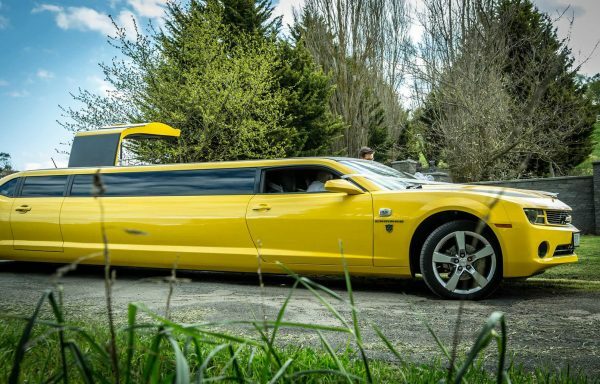 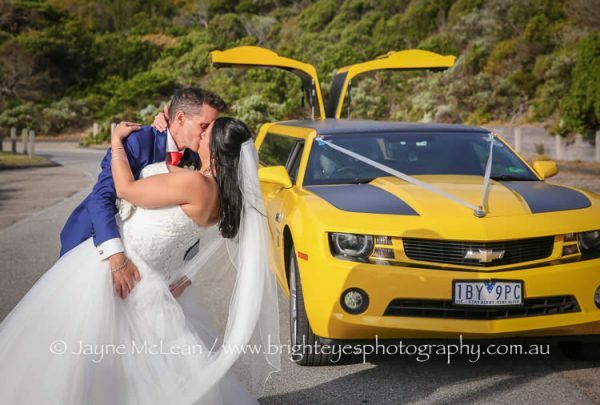 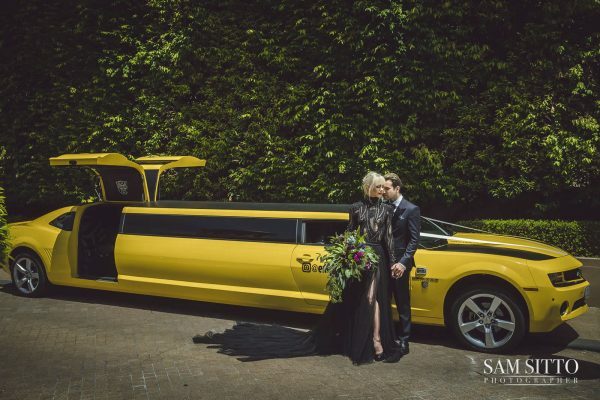 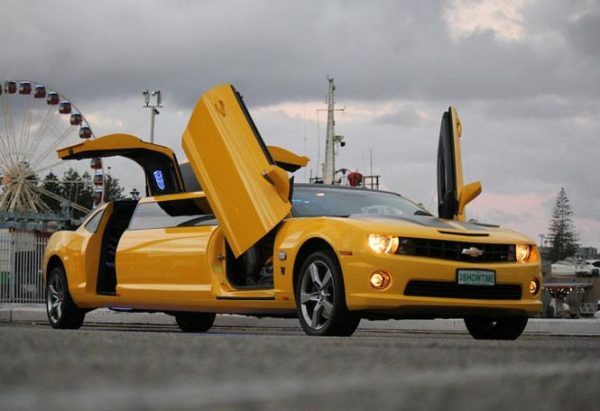 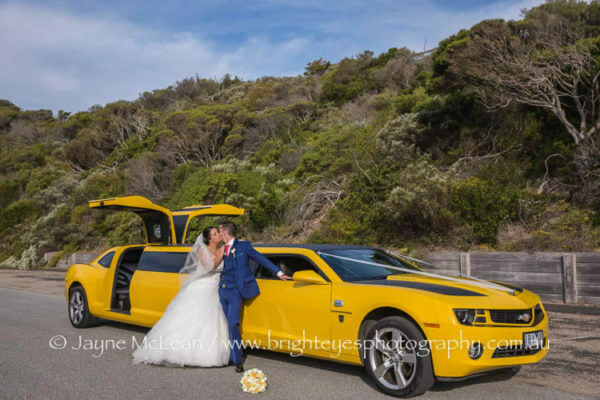 By mixing some American muscle (the infamous Chevrolet Camaro) with the magic of movies (the loveable Bumblebee from Transformers), Exotic Limo have brought to life an amazing stretch limousine that will seat ten passengers in cartoon-themed elegance.  Custom built right here in Melbourne by our grease monkeys with PhD’s, passengers enter a world guaranteed to bring out their inner child! Light patterns explode from strobes in vivacious colours across circuit boards that line the roof and floor; an arsenal of sound effects from the famous films blast out from the speakers; interactive Autobot and Decepticon props litter the cabin; leather seats are cleverly themed as the Transformers logo – absolutely everything about this fantastic limousine is ‘more than meets the eye’. 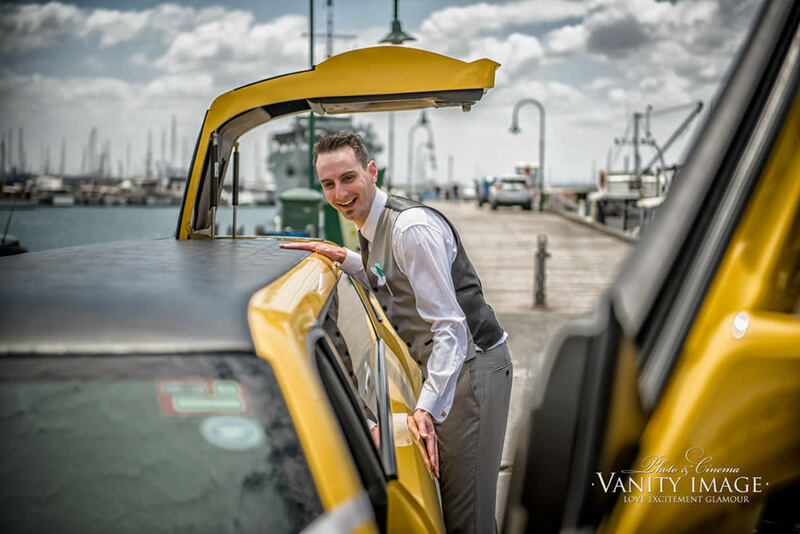 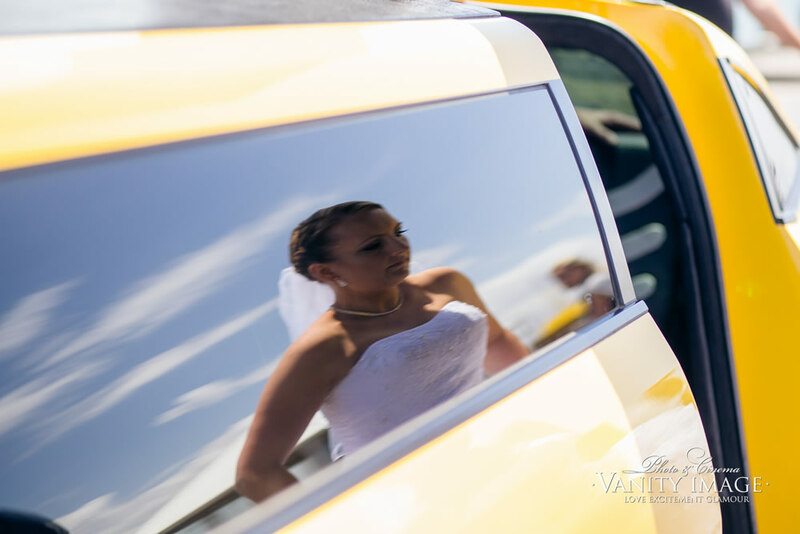 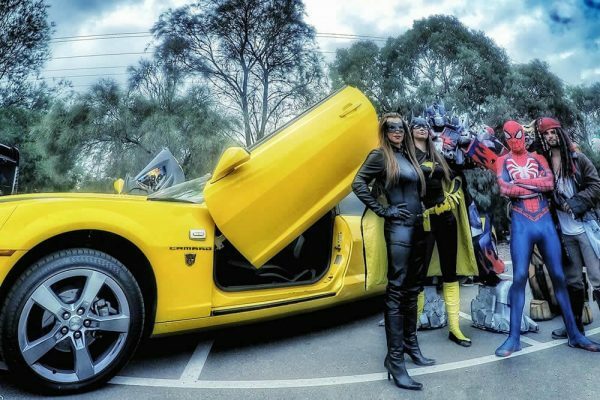 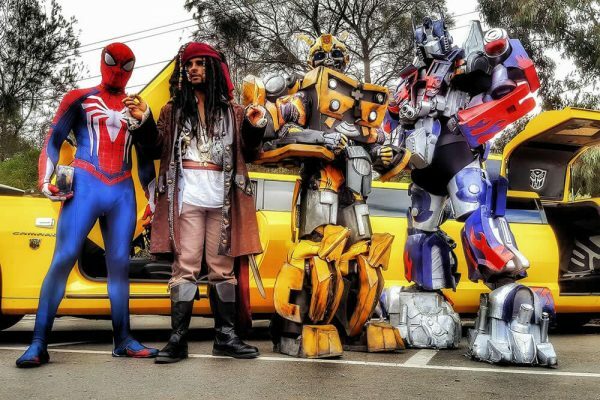 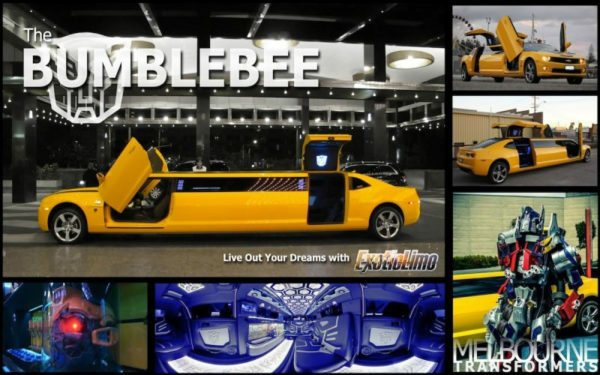 The Bumblebee has been the star attraction at every kind of event you could possibly think up, including being the vehicle of choice by a number of international celebrities! We also offer Airport Transfers, corporate and sightseeing tours, or after school pick ups for very lucky kids (who have been very well behaved!). 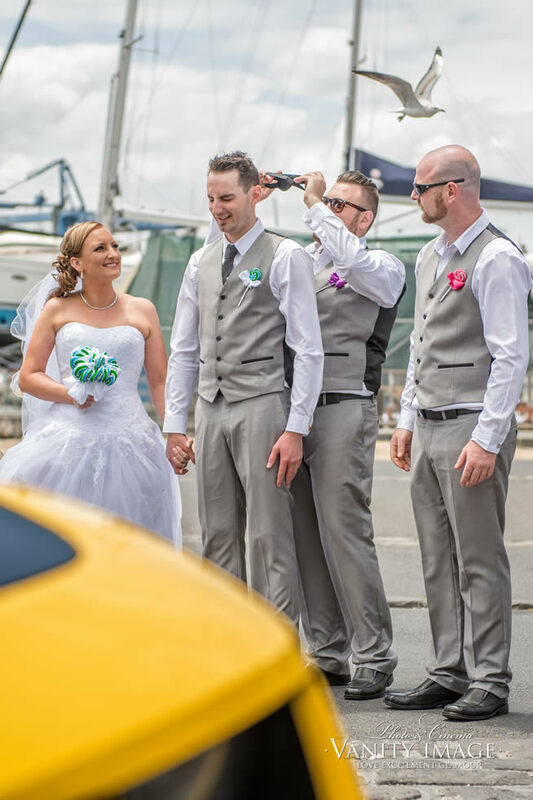 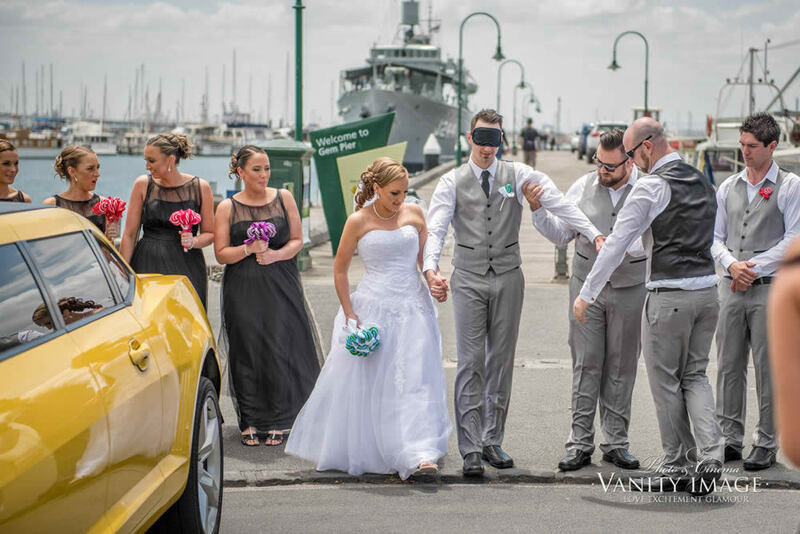 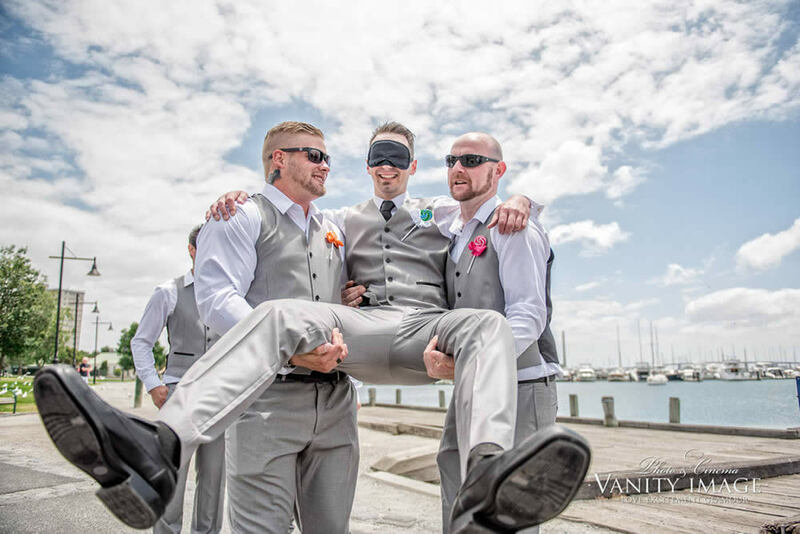 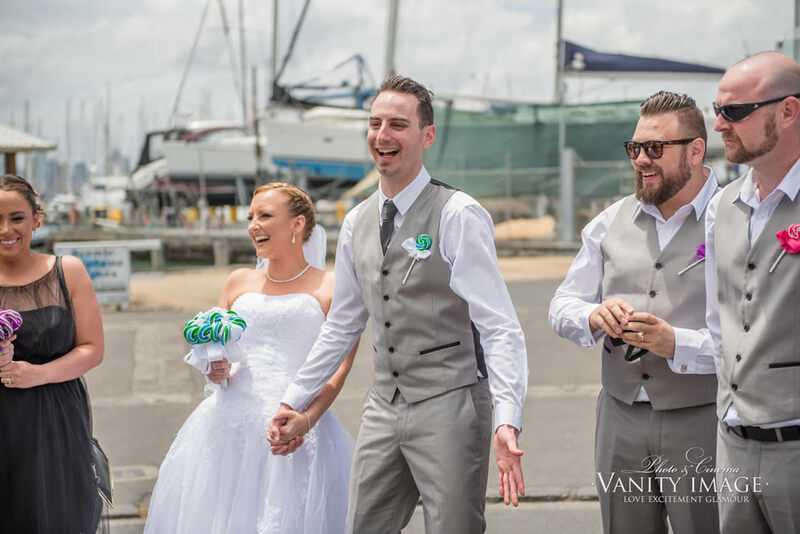 If you are getting married, we can offer a Groom transfer to the ceremony that won’t soon be forgotten. 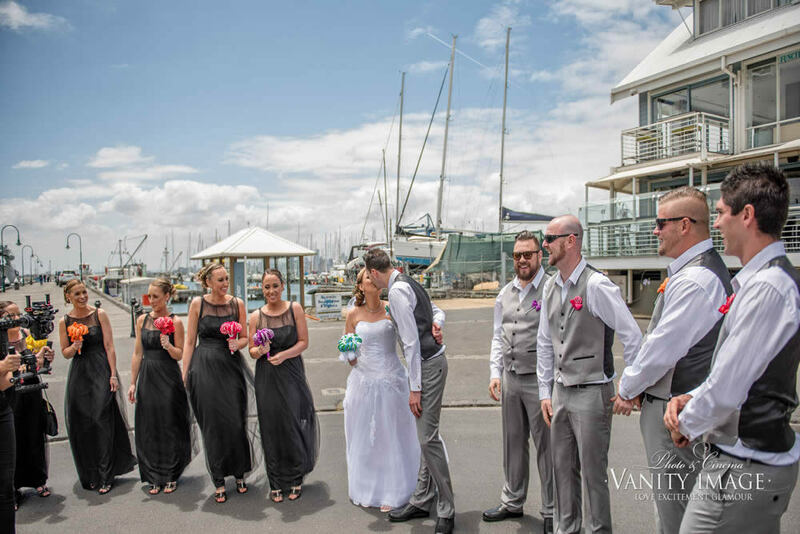 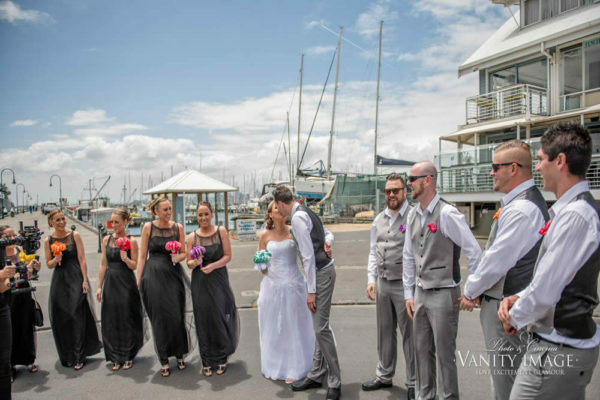 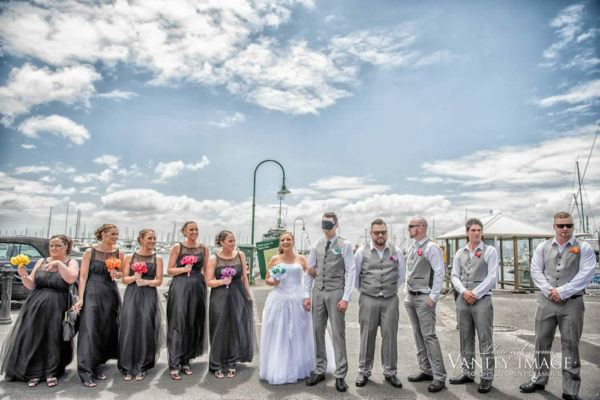 And if the Bride is (super) cool, she might even like to entertain the all day wedding package! 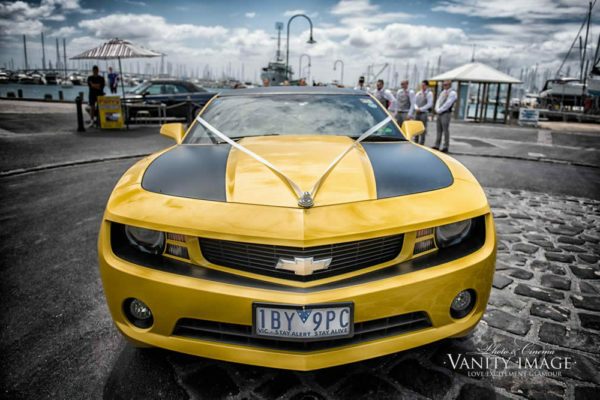 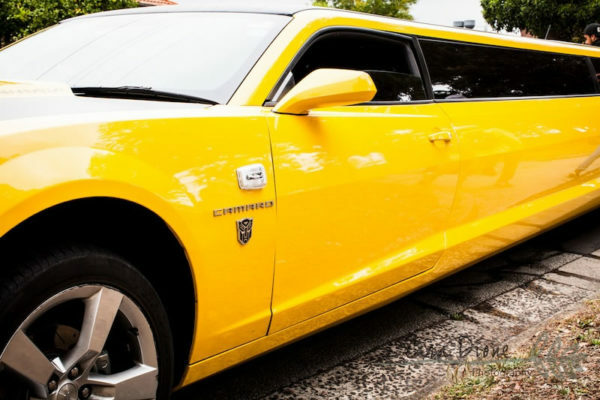 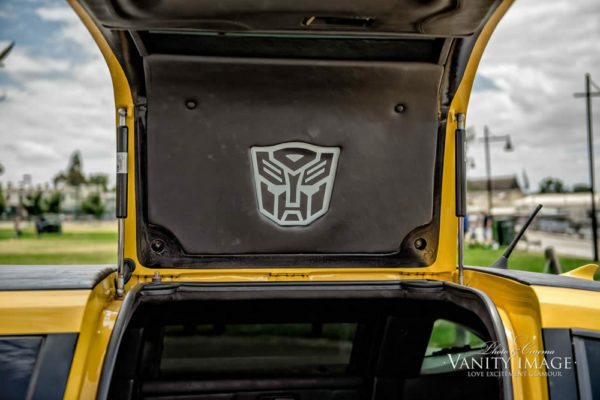 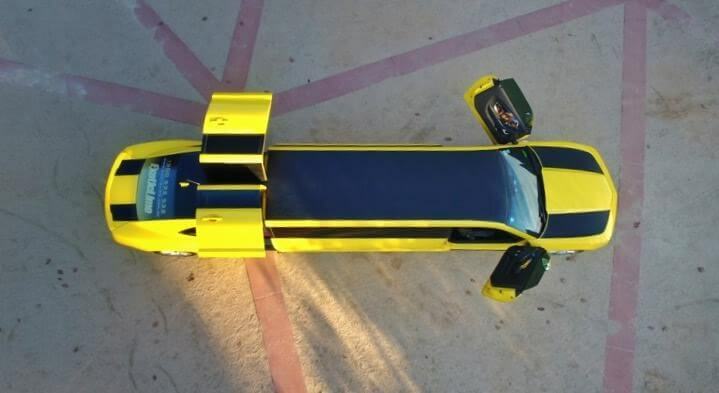 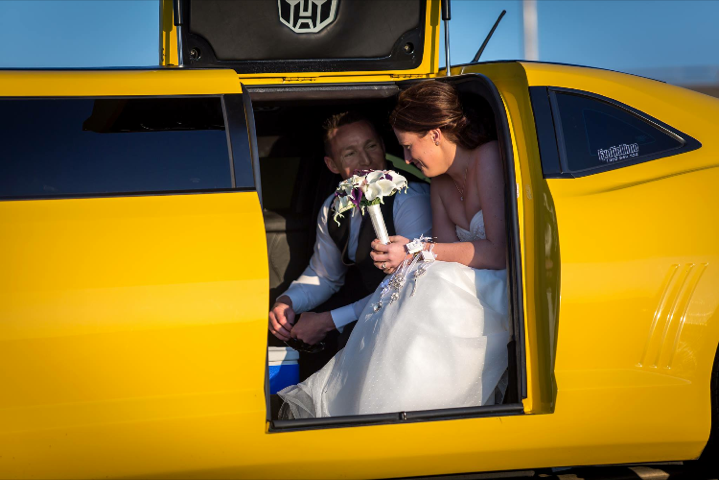 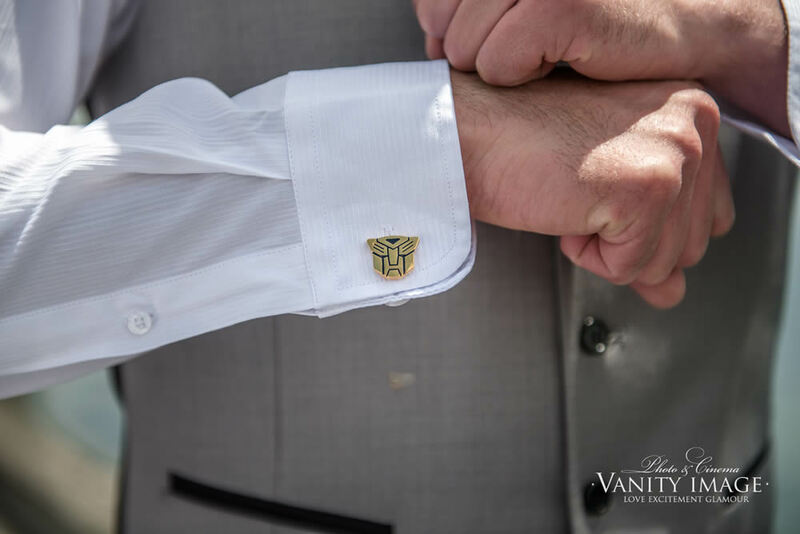 The Bumblebee Limousine is the ULTIMATE gift for all Transformers obsessed fan! 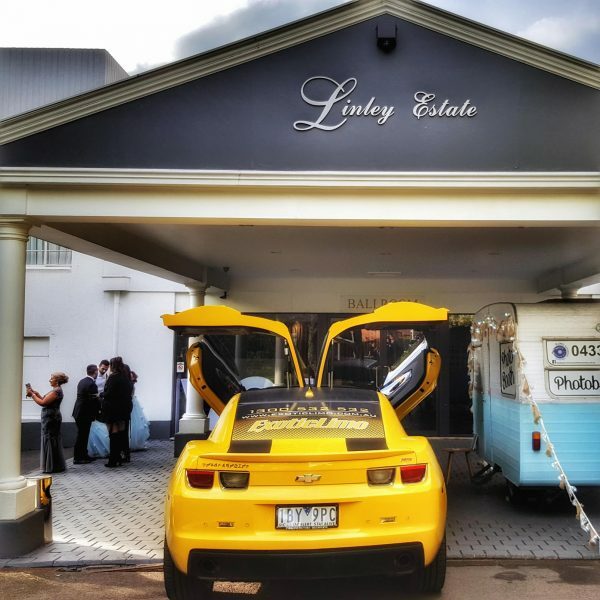 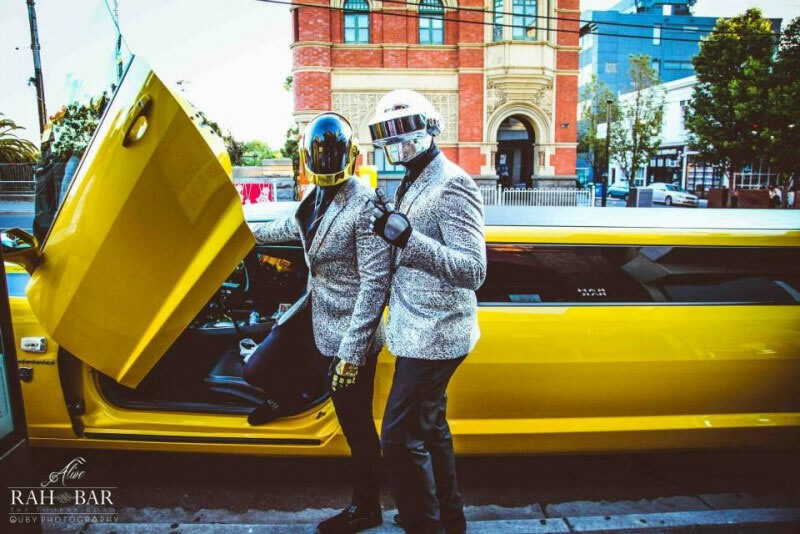 From jaw-dropping kids parties to charity events with thousands of onlookers turned paparazzi, anyone who has come into contact with this BUCKET LIST ‘Must Ride’ has been considerably wowed! 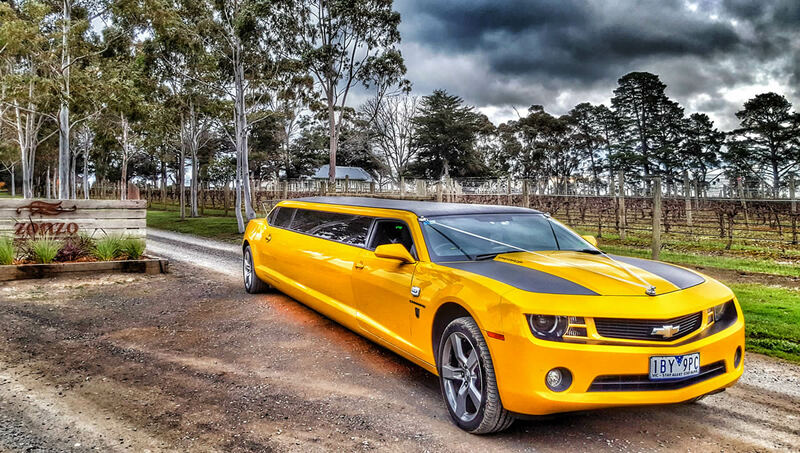 Our famous limousine is somewhat of a superstar and customers have placed bookings as far away as 2 years, so in order to avoid disappointment it is highly recommended that you contact us ASAP before you miss out on the dates and times you are interested in booking the Bumblebee for! 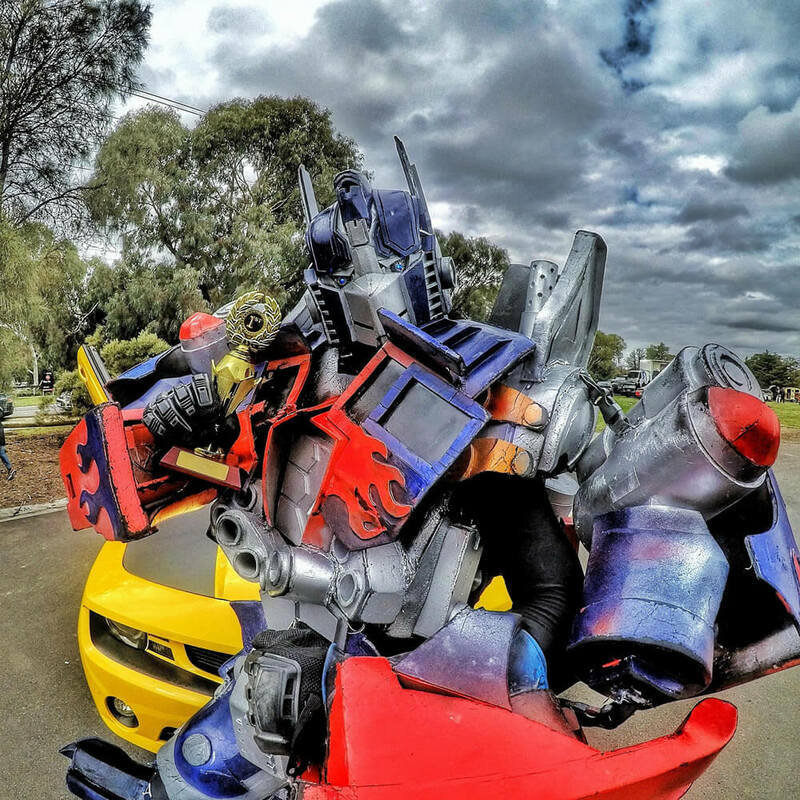 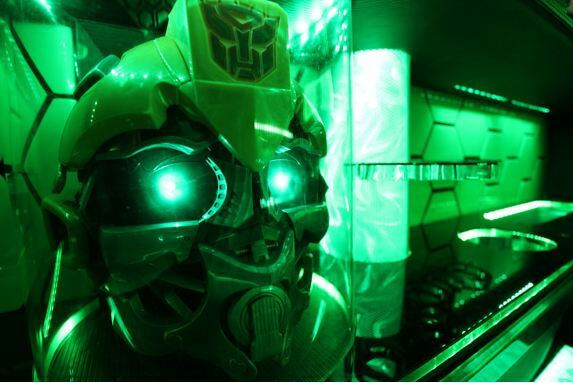 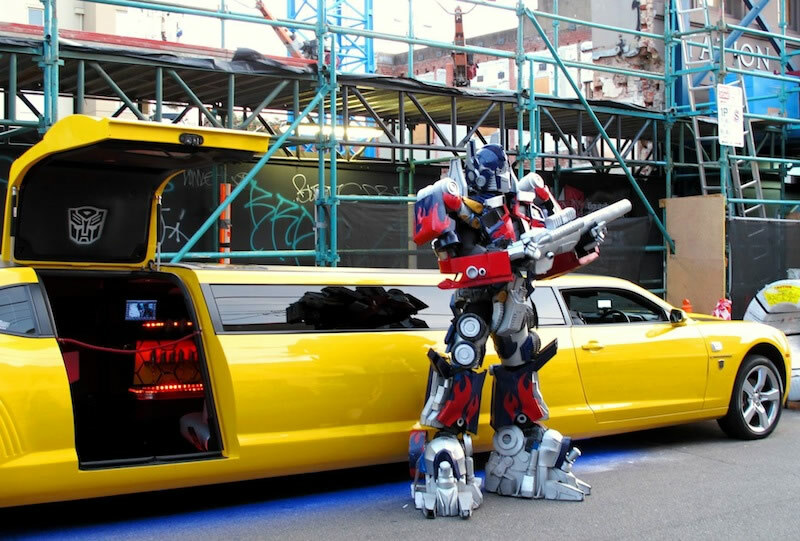 We can also provide options to book REAL LIFE Transformers Characters to come and battle things out at YOUR party! 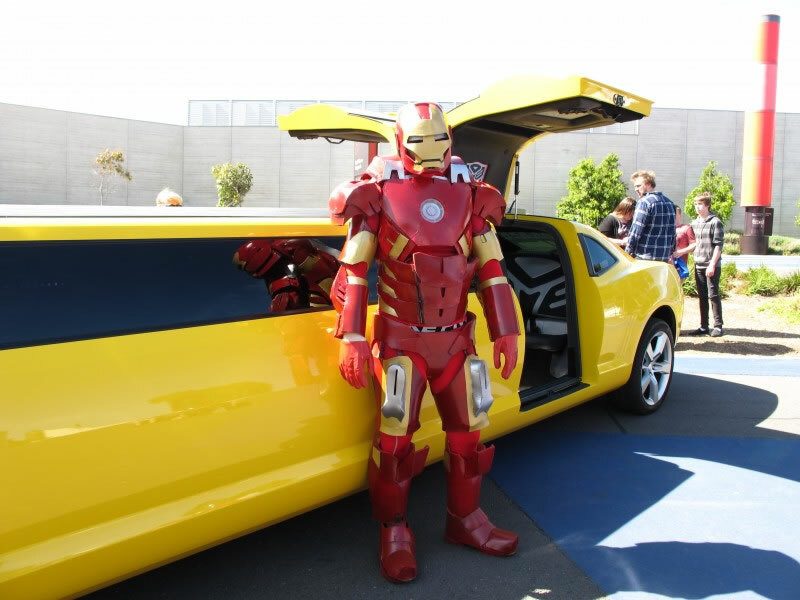 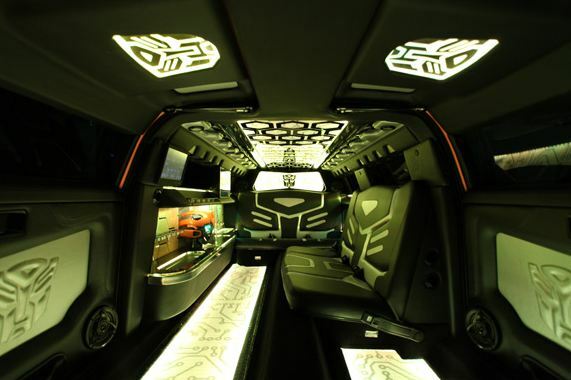 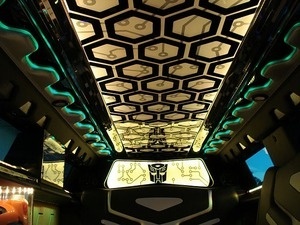 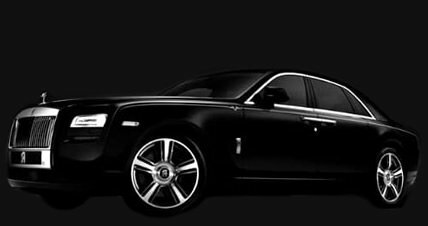 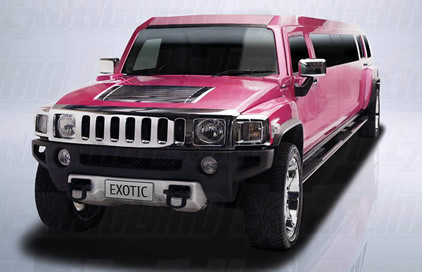 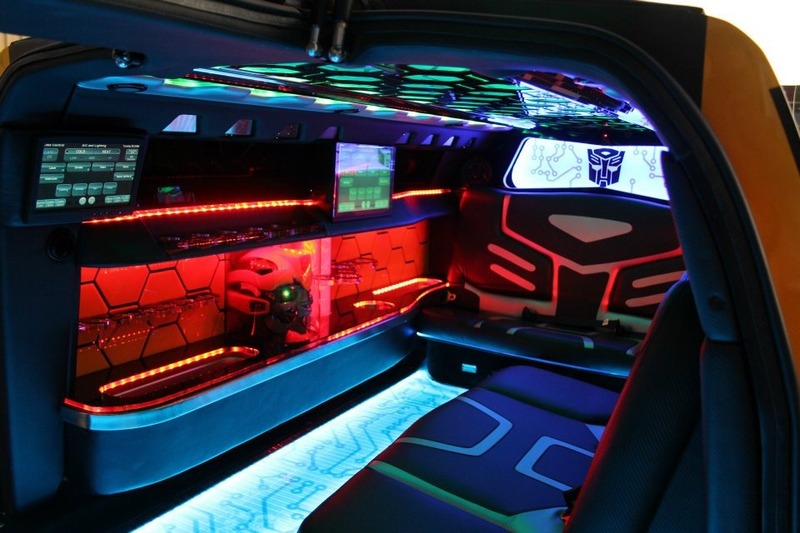 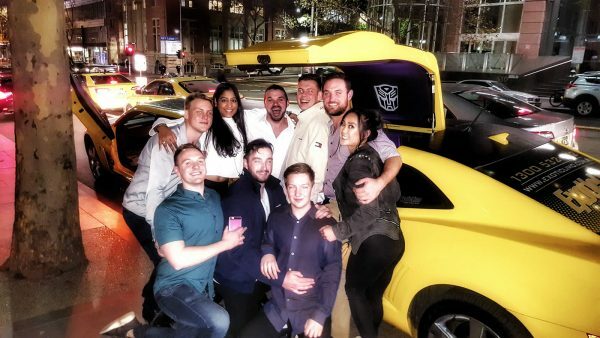 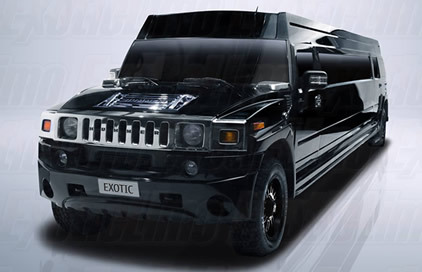 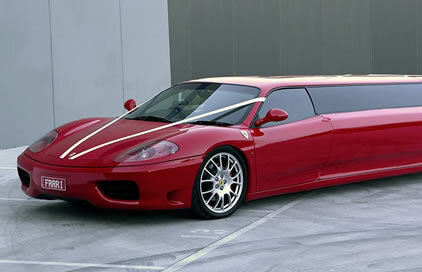 Optimus Prime, Bumblebee, Megatron, Spiderman, Ironman and so much more – why not choose Exotic Limo for your next party! 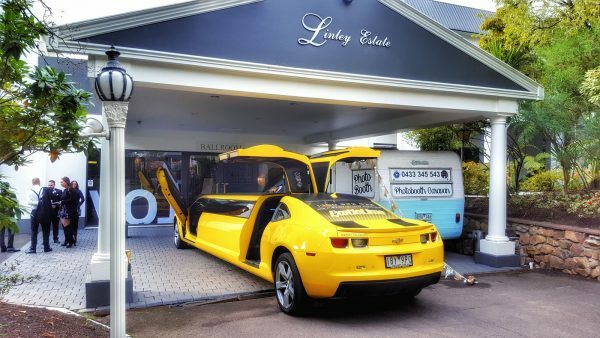 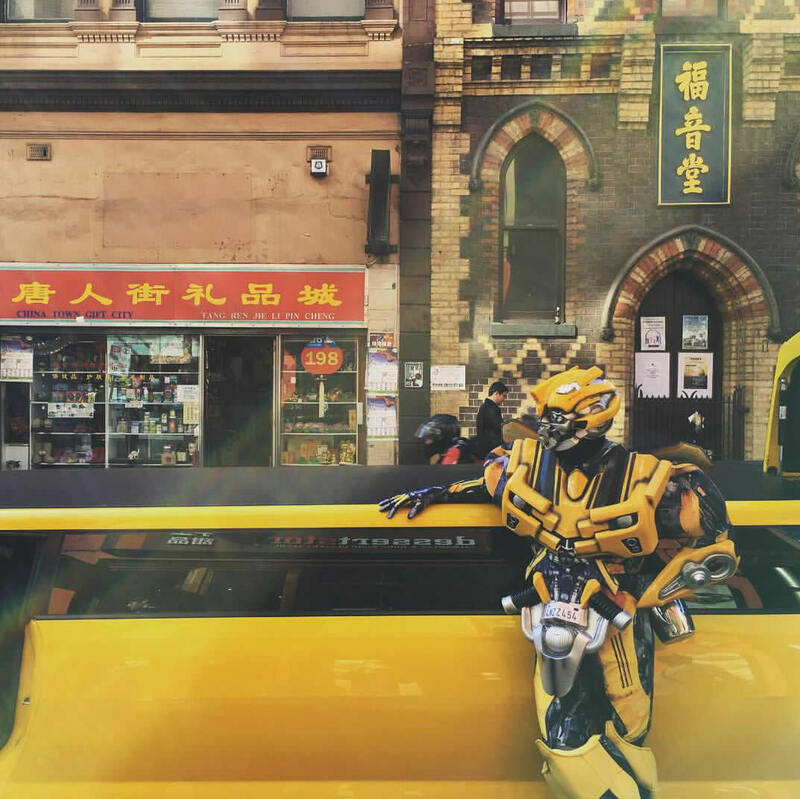 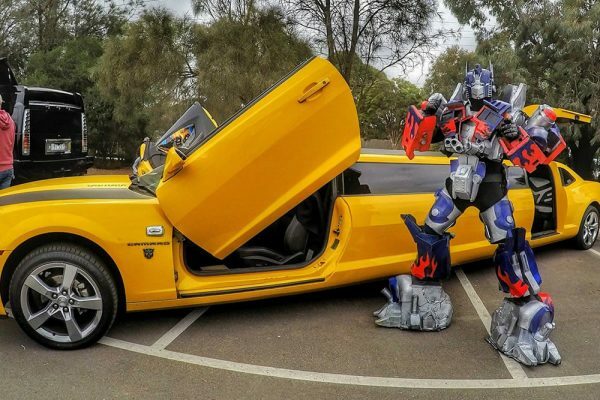 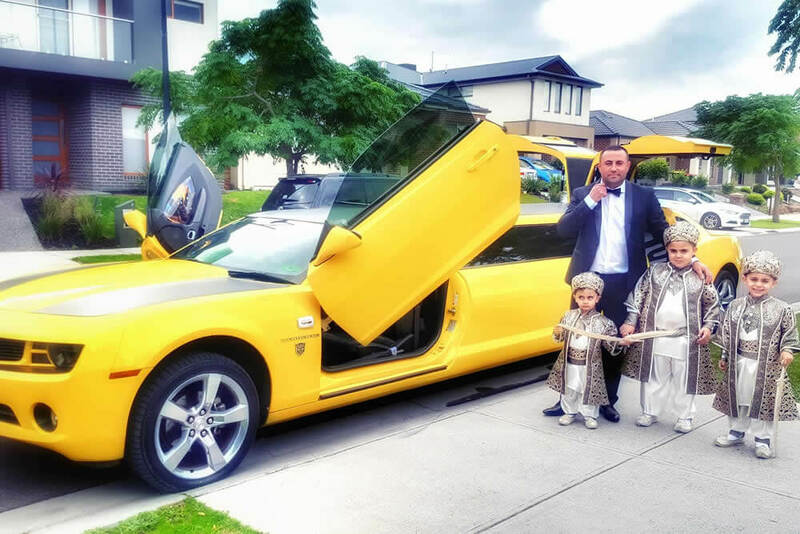 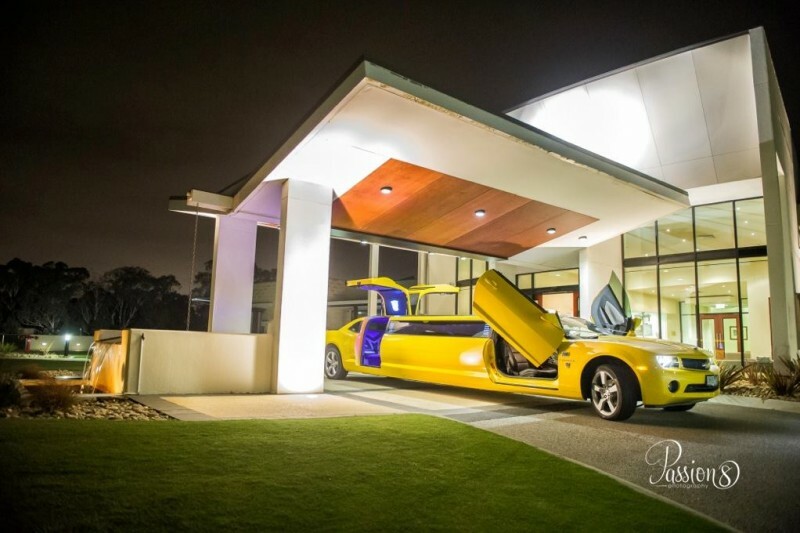 I’m not easily impressed but I was blown away by Exotic Limo’s customised Bumblebee Transformer Limo. 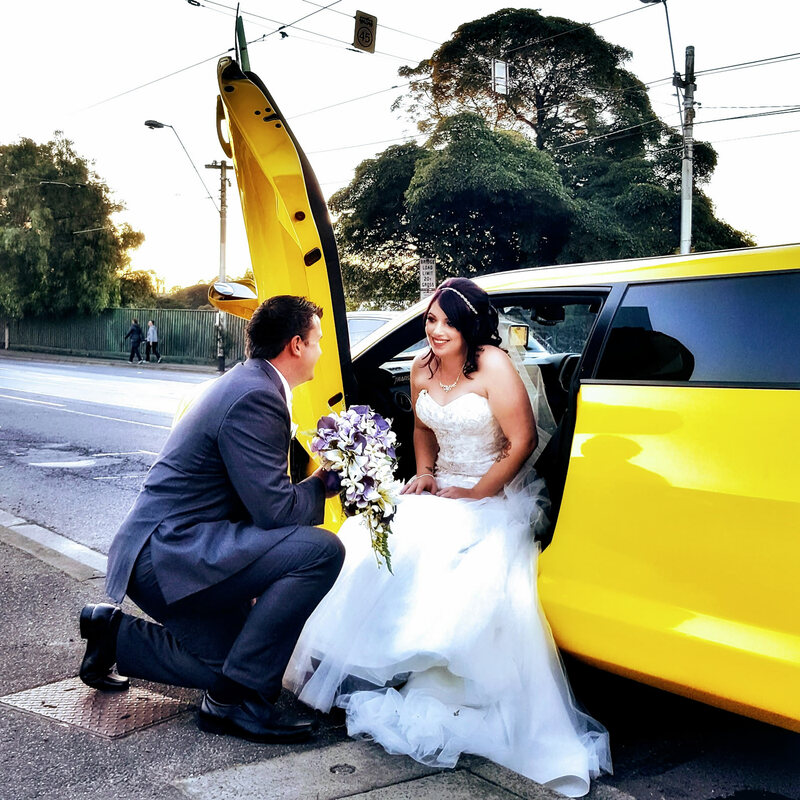 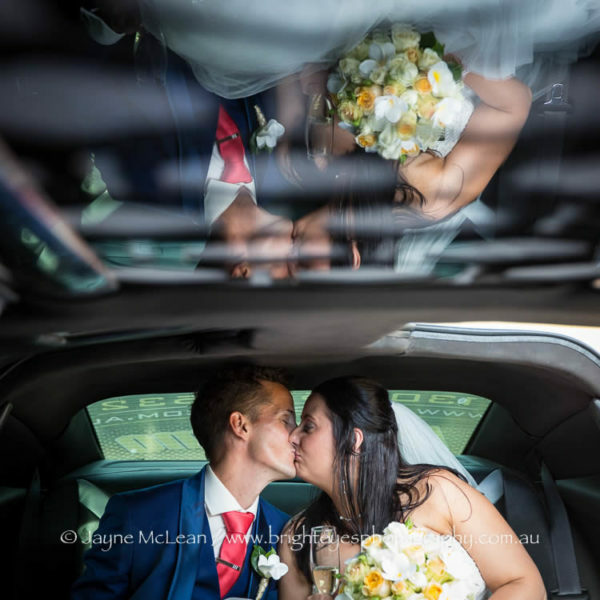 The service was top notch 5-star & going for a spin in the limo was a thoroughly enjoyable experience that still makes me smile every time I think about it. 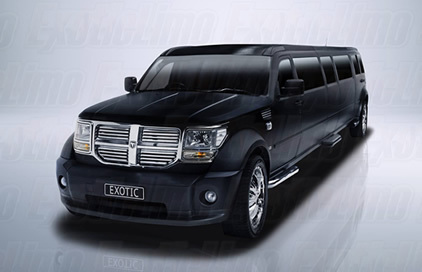 Thank you Exotic Limos for a most memorable ride! 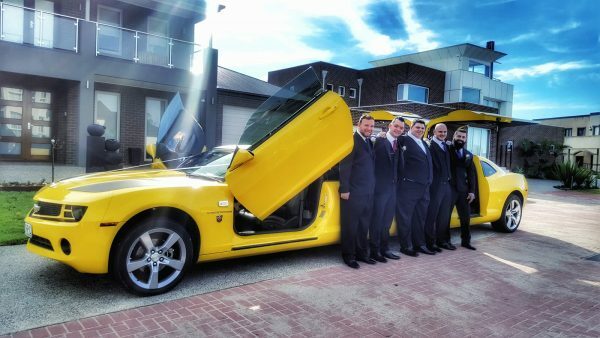 If anyone is looking for a 5 star pimped up ride for a special occasion I would highly recommend these guys.